A couple of months ago a new development board based on the popular esp8266 was created. It seems like a compact version of the popular nodemcu board that includes an RGB led and an LDR. It is called esp8266 witty ( you’ll find them for just a couple of dollars on ebay or aliexpress) and the idea was to split the UART interface into a dedicated board that can be attached to the esp8266 whenever you need to program it or access the serial interface to read data (clever design guys). On a side note, the baud rate changed from 115200 to 74880. This is an unusual value for it, but if it doesn’t work for you, just play with the values until you find what works for you. I couldn’t find a lot of documentation regarding this module and how to access the LDR and the RGB led. Fortunately it was very easy to find out. 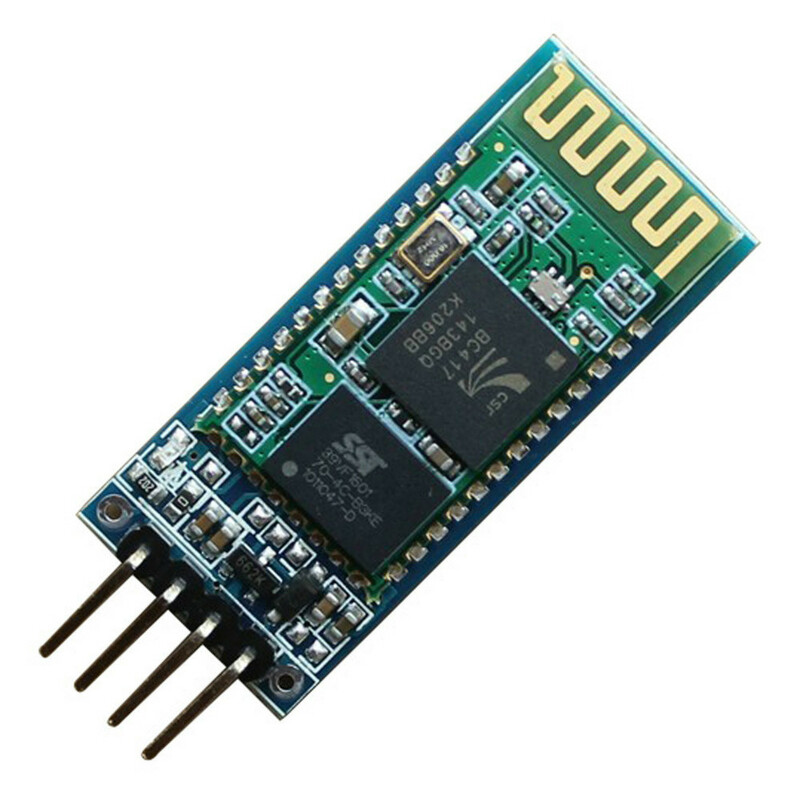 The esp8266 modules have a single pin with analog reading capabilities ( pin 0 ) and that was it. For the digital pins controlling the led channels all I had to do was a simple for loop to iterate over all the digital pins and find out which ones were triggering the blue, read and green channels. It ended up being pin 6, 7 and 8. A few days ago I started a new project to help me take care of my peppers. Winter is coming ( pun intended ) and unfortunately it’s a bit harsh here in Portugal for people who likes to grow peppers, specially tropical strains that are used to good weather. For that reason, it all started as simple thermostat that could tell me the temperature over the internet but soon lots of other ideas started to pop up in my mind. So I started developing a tiny appliance that could allow me to control a few things and that’s how this project started. The idea is very simple: The NodeMCU will create a tiny web api that can be used to retrieve data about the sensors and trigger the relays. That information can also be seen on the LCD so that you can check the sensors when you enter the greenhouse. The webapp will output the information in json format so that you can easily integrate it with another application. Netflix was launched here in Portugal one day ago. I was really excited because I was finally going to be able to get an account and start enjoying all the contents that they have to offer. Currently the catalog has 354 movies or tv shows which is a very poor selection. I didn’t want to turn to VPNs or DNS services that could route traffic through their services but unfortunately I had no choice. Since I work in security, I know how these things can turn south like people found out recently. But the truth is that I need to trust in a foreign node at some point because without a US IP address netflix wouldn’t show me the full catalog. Searching for netflix and DNS the first link that popped up seemed exactly what I was looking for except that I didn’t want to use their DNS servers for all the requests ( again, security ringing a bell ) a vector for Pharming attacks. So the idea was to use one of those DNS providers that route traffic through their servers whenever we wanted to access netflix, but only for netflix related requests. Sure I could just setup a DNS server and create a custom zone for netflix but that seemed an overkill. That is how I discovered that OSX supports a feature which allows you to do exactly that: the “/etc/resolver/” folder. The idea is simple, you just create a folder ( if it doesn’t exist already ) and create a file inside it using the name of the domain that you want to use custom DNS servers. Inside that file you just put the address of the custom DNS servers for that domain and you’re all set! drwxr-xr-x  95 root  wheel  3230 Oct 22 09:31 ..
drwxr-xr-x   3 root  wheel   102 Oct 22 10:14 . In this case I used the IP addresses of tvunblock but you can try other ones. Bear in mind that if you use tvunblock, you need to open their website from time to time to keep active your IP address. I’ve been learning a lot about pyQT and definitely started using Sublime as my IDE. There was just one thing that was annoying me, which was the pile of windows that were being left behind each time I called the Build Action in Sublime (I easily forget about closing them). Fortunately Sublime is so easy and powerful, that changing this behavior was very easy. PS: Same principle can be applied to any other language. Just make sure that you edit the sublime build file accordingly (each language has one I think) and have a bash script for it. A couple of guys asked me to create a simple python script to allow the iClass cards to be read and extract their UID to control a few other devices. I thought of sharing with you since there are a few other people asking for the same on the Internet. prints its uids. The code is not pretty but it works! During the last days, I’ve been reading a lot about Lucid Dreaming and the several alternatives of accomplishing it. If you google the subject you’l find dozens of tiny gadgets promising the do it, but very few will really help in that because one of the key actions consists in detecting REM (Rapid Eye Movement) which only seem to be possible either by using some EEG equipment to monitor your brain or by analyzing the eye movement during sleep. The second option seems to be too complex for me because I couldn’t find any similar gadget that could be hacked. And that’s where the Mindflex comes into play. The Mindflex is a toy developed by Mattel which uses a headband to read brainwaves and control games. It uses a processor from Neurosky very similar to the one on their official Development Kit. Searching for the available options I’ve stumbled upon an awesome post ( http://frontiernerds.com/brain-hack ) describing in detail this little gadget and how to hook it to an arduino. This was almost perfect except that I wanted that this could remain portable and could be connected to any bluetooth enabled device directly. * I was lazy enough to solder the BT dongle directly to the battery header. To do a perfect job you should remove the pcb and solder the BT dongle to the power switch (so that it can be turned on/off without removing the batteries). print "Error: Data Error too long!" 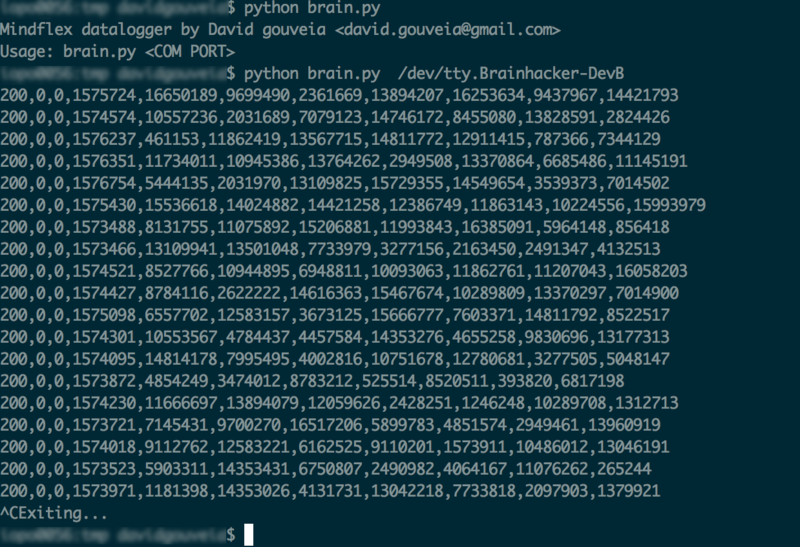 print "Mindflex datalogger by David gouveia &lt;david.gouveia[at]gmail[dot]com&gt;"
Last weekend I’ve decided to create a new Android application. The idea is very simple and all I wanted was something that could show me which football games were going to be aired by TV channels available in Portugal. There are some websites that have this information available but I wanted something easier to use. And that’s how this tiny app was created. Ok, este vai ser um post simples. Existe outra forma de desactivarem o hotspot da PT-WIFI do vosso router e apenas precisam de um cliente de telnet. Neste momento irá ser listada a lista de SSIDs que são propagados pelo vosso router. Em teoria deverão ser três (dois da PT-WIFI e um da vossa rede). Se tens o serviço de fibra da PT (quer seja MEO ou Sapo) já deves ter reparado que a PT silenciosamente activou um Hotspot da PT-WiFi através da tua ligação um pouco ao estilo das redes ZON Free Internet. A ideia é boa, a forma como foi implementada é que é simplesmente absurda. Não só o fizeram de forma camuflada, acedendo e alterando a configuração do router sem o conhecimento e consentimento do cliente, como excluiram qualquer hipótese de ser desactivada, ou seja, somos todos forçados a ceder a nossa largura de banda e a patrocinar um servico que pode até beneficiar os clientes mas que foi feito com intuitos meramente comerciais. Mais ainda, os routers como qualquer outro dispositivo possuem limitações, e não sendo estes modelos uma gama profissional (qualquer hotspot PT-WiFi presente num Hotel ou centro comercial utiliza equipamentos Cisco ou Nortel que em NADA se assemelham a estes thomson) podem sofrer degradação de performance da rede wireless pois ainda que seja uma rede virtual diferente, os interfaces fisicos são os mesmos. Mais! Se a velocidade contratada forem 100Mbits e tendo em conta que esta é também a velocidade máxima do equipamento, isto significa que se alguém estiver ligado na rede irá reduzir a vossa largura de banda contratada! Após clicarem no Enter vão entrar no interface de gestão com permissões especiais, entre elas o poder de desligar o hotspot PT-WiFi. 3- Acedam ao painel de configuração da rede Wireless do router. No fundo da página vão encontrar um novo link com a designação “Definições Hotspot”. Cliquem nele. 4- Aqui encontram as definições do Hotspot PT-WiFi. Cliquem em desactivar et voila! Disfrutem do vosso router livre de qualquer acesso. PS: Obrigado à malta da ptsec.info por ter disponibilizado os dados de acesso como root (mais informações aqui).